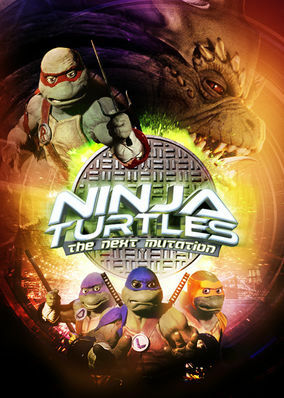 I talked about Saban’s live action TMNT show, Ninja Turtles: The Next Mutation and even went over every episode. Sadly the show only had one season, though it’s listed in some places as it having two for some reason. Apparently the only reason it was cancelled was because of licensing/money issues and not ratings. Saban wanted to cut costs and this was one of the more expensive shows that he had going on. Searching online I found that April O’Neil and Casey Jones would have appeared on a second season, also there were talks and even concept art that they tried to continue the show and changing it from live action to animated. 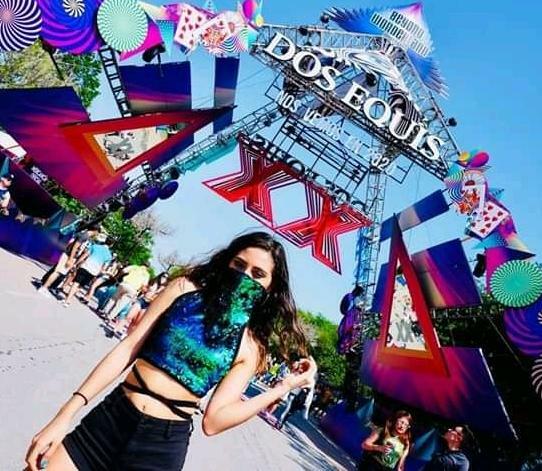 Regardless of what is actually true or not since information on this show is rather lacking and the above that I found didn’t have the best sources. So who knows what would have happened if a second season had happened, the show had tons of potential and like other Saban’s shows it could’ve gotten better over time. So why don’t we take a look at everything this show had to offer and the potential that it had for other seasons in general and the characters. 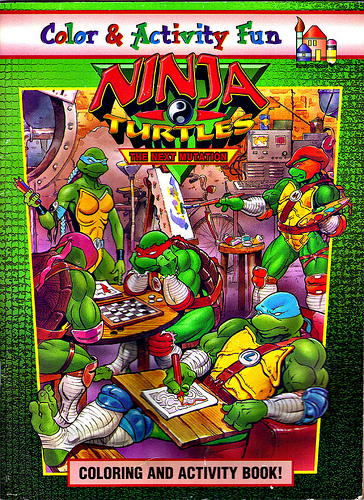 And not only that, it’s also a review of how most of the original characters for the show had tons of potential and they should not be ignored, instead they should be used in new TMNT media to their full potential. Dragonlord: He needed to be more of a threat since in some episodes he was portrayed too goofy, which all it did was hurt his character when he was being serious in other episodes. Also since Shredder is back he might’ve relinquish the title of being the main bad guy or maybe he’d still be until the third season. Since he doesn’t like Shredder, they could play with that and have an episode were they fight as well as the rank and the foot not getting along. By the end of the season have the turtles actually defeat the Dragonlord. He could still show up in the third season but as a recurring villain not the main bad guy. Shredder: He was awesome in the first season but after the premier we don’t see him until his return. I thought we’d see a little bit of him through out the season until he finally made his comeback. Since there is a gap missing from “Shredder” being dead and Oroku Saki not understanding whats going on and then when he shows up again “Shredder” is alive again just with no motivation, it’s as if we were supposed to see him slowly recovering between both his appearances with short segments on other episodes but it never happened. Anyways, he comes back near the end of season 1 and we don’t see him again. By season 2 he’d have the foot rebuilt, maybe even being the main villain since it seemed he was being set up for that. Vammi: Even though she is killed in the first season her minions escaped so she would have probably come back. She would’ve likely made a come back in another multi parter. She was an interesting villain. Bonesteel: Great character with missed potential as he was written too goofy at times that it was hard to take seriously. However Unchain my Heart portrayed him perfectly, he was still goofy/crazy but in a threatening way and was an actual threat, even capturing Vammi. That’s how he should’ve been used in a second season. Silver: I really liked him, while he was a gangster he wasn’t a serious gangster and didn’t care for the turtles unless his plans conflicted with them. Just have his goons not be as goofy as they were and boom you have it. 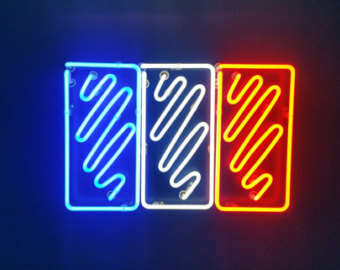 The Rank lieutenant: He needed to be in a second season. He is never given a name but he had some good dialog. I would like him to be “unmasked” so we can see his face and isn’t just another generic “rank” soldier. I understand The Rank were given masks so they didn’t have to create Dragon masks for all of them but he is the leader, you can make a dragon mask for this one important character. He also needs to be given him a name. The Good Dragon: He leaves to the mirror world to fight the evil dragons and find other good dragons. He was an awesome character and he kind of had his story set for a second season since he’d come out of the mirror whether he did it alone or maybe with some other good dragons it wouldn’t matter. Like The Rank leader, he needed to come out unmasked and actually have a name. I wonder if they would’ve followed up on this storyline. Dr. Quease: I like him but he was featured a little too much in the first season and would like him to show up less on the second season and break off from mostly being Dragonlord’s goon, since only on two episodes was the Dragonlord actually involved in his experiments anyway. He could make a nice contrast with Baxter Stockman. Andre the blind man: I thought he was going to be a recurring character that you just saw Splinter playing Chess with every other episode. But that didn’t happen, so I’d like him to show up more often playing chess with Splinter maybe giving him some advice. He can even have another episode that actually deals with him, and have him realize/make them know that he knows they are not human. It’d be nice to have more characters for Splinter to interact with. Now to talk a little about the main characters in this show..Splinter: Maybe give him a major role on a episode and just let him be Splinter more than they did. Leo: All turtles were featured pretty well evenly except for Venus. After Venus it was easily Leo who got the least. 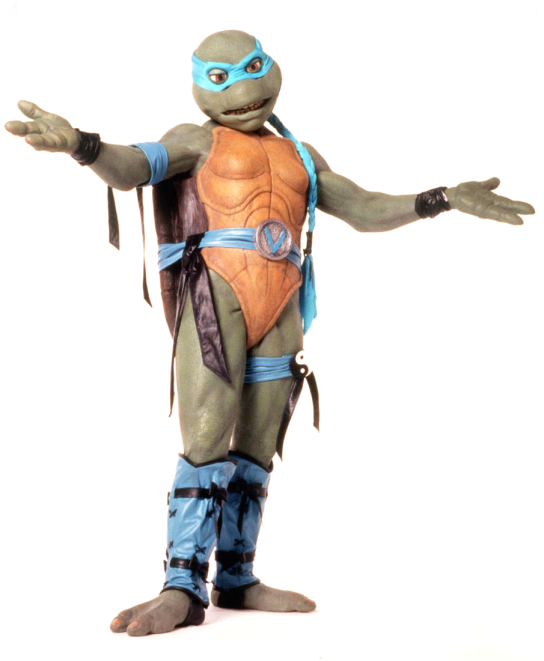 Have him be more of a leader but overall he was portrayed nicely.Raph: He was featured a lot but he was done very well, I’d like them to continue his rivalry with Leo, his angst and whatnot, even improving on it. 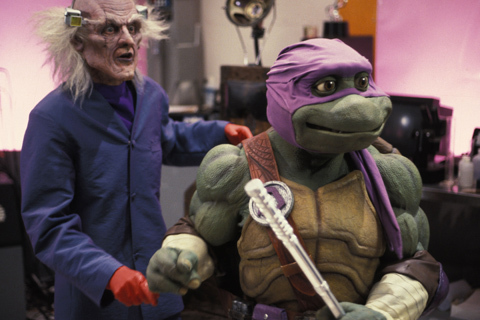 Also have him use his Sais bo staff in more than one episode.Mikey: Like Raph Mikey was featured a lot even more than Raph, so I wish they’d take away some of his screen time and have an episode were he is more serious.Donatello: He wasn’t too underused, he got plenty of episodes though not as many as Mikey or Raph., he was portrayed pretty well, maybe have him making more inventions this time though. Venus: Actually have her in more episodes! She didn’t appear that often and was only important in both multi-part episodes, one episode and the flashback episode. Power Rangers team up: The first team up made references to meeting again, since the first crossover was a Power Rangers episode it’d make sense the second one the turtles would return the favor by having them on their show. Now I’m not sure which version of the PR they’d meet. If you are not familiar with them, the Power Rangers change teams every year and while The Next Mutation did air a few months first and would therefore start airing its second season when PR In Space was finishing theirs. It’d make more sense for the Lost Galaxy rangers to appear since its the new show and would be airing along with The Next Mutation season 2. Though it was indeed the Space rangers and villains that made references of a future team up. But it’d also be cooler and maybe would make sense for the Lost Galaxy rangers to meet the turtles instead. April: Apparently April was going to appear on Season 2 and that would have been cool. Like I mentioned she seemed to make a cameo or two in the first season. 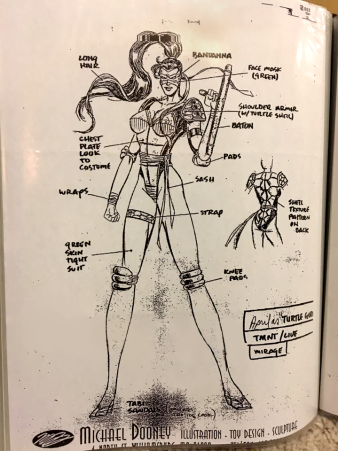 But we do have designs of her dressed up as a turtle of how she would’ve appeared in season 2. 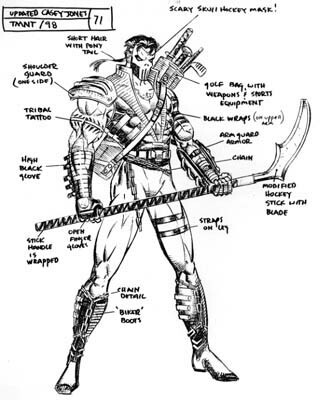 Casey Jones: Like April he was also going to be in S2, it would have been great to see him. We even have concept art for his toy. Baxter Stockman: Baxter could have been done easily on The Next Mutation since he is just a scientist. Though I’m not sure if he’d be incorporated since Dr. Quease already filled the mad scientist role and is pretty similar to him, except he is a bit more crazy and technically not a bad guy he just works for science. Though I would have indeed like him showing up, have a connection with April and even have him team up with Dr. Quease in one episode. Just change his personality to be a bit different from Quease, more serious and actually evil. Karai: It’d be neat if Karai made it in the show, its possible since she’s just a Ninja and wouldn’t have required a lot of costly production for her but she wasn’t that well known back then. 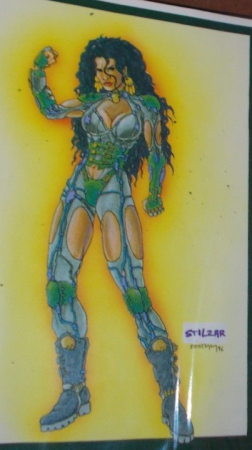 We do however have concept art of a female character that looks very Power Rangers-esque, she apparently would’ve been played by Kevin Eastman’s girlfriend, or at least was modeled after her. “evil” turtle: Like I’ve mentioned before I’m a sucker for “evil” or “robot” versions of characters. Saban already had a “evil” turtle suit from Mighty Morphin Power Rangers, in fact it looks a lot like Tokka(the turtle mutant). Just kitbash/modify it from that suit. Or have a robot turtle or better have both! Mutants/Monster of the day: Like I mentioned above, Saban had tons of costumes from Power Rangers, and Saban was no stranger to kitbashing suits for their other shows and giving them new life. 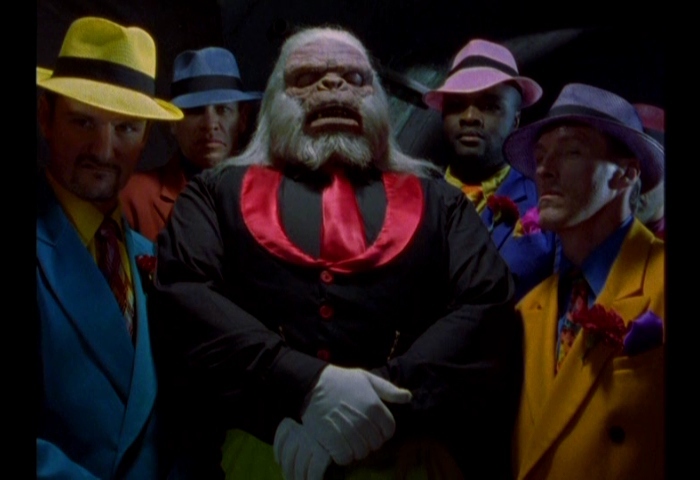 Power Rangers had plenty of Monsters that could have been used as mutants and what not for this show. Ratking: He could be easily portrayed since he is just a human, no requirement for a suit. And he could haver been pretty interesting. 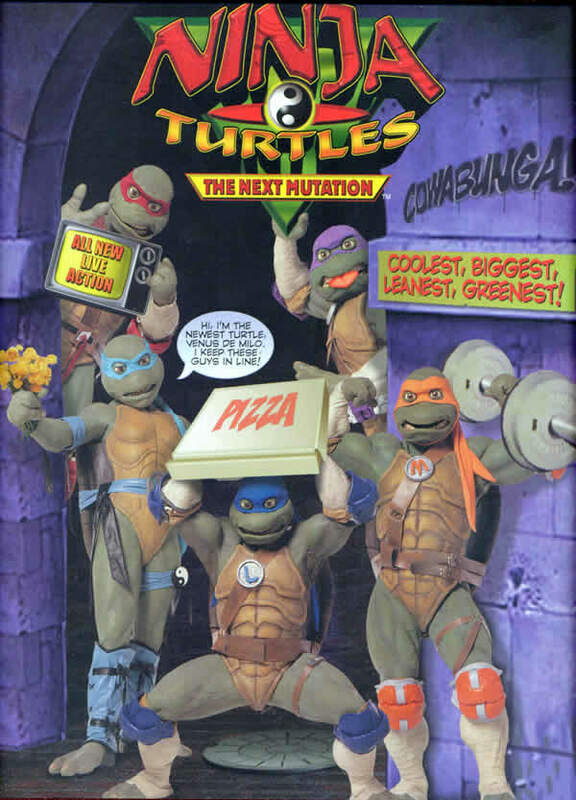 As for other characters like from the Fred Wolf cartoon or pretty much most original characters or anything that would require a lot of money to build and like the 4Kids 2k3 TMNT show they seemed to be wanting to move away from the original show.wouldn’t have happened like Krang and Rocksteady / Beebop. Maybe only Triceratons they would’ve gone to the lengths to actually spend money. 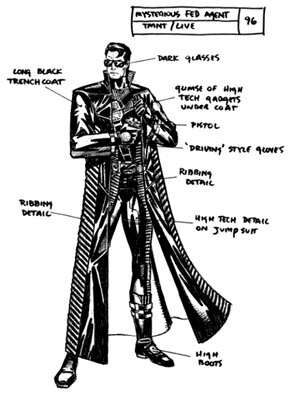 Agent Bishop would’ve been great but he hadn’t been created yet, but there’s actually concept art of an agent type character that would’ve made it into the toyline and possibly the show. 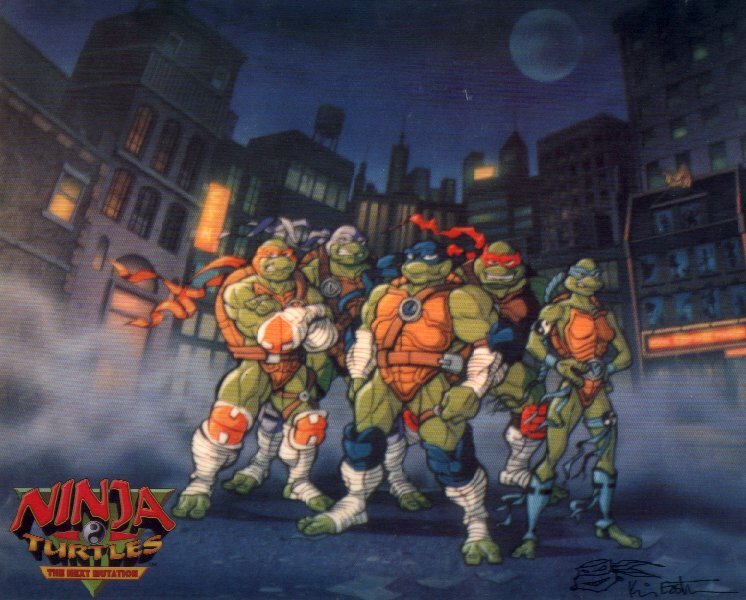 Overall I think the show would have improved with Season 2 and I would have like to see more of the characters from The Next Mutation in other Teenage Mutant Ninja Turtle projects as their rogues gallery was for the most part original and all deserved much more than what they were given.